Yay it’s Friday…and it’s Happy Friday 😀 Hope you had a wonderful week! * Valentine’s Day: February 14th put a big grin on my face. 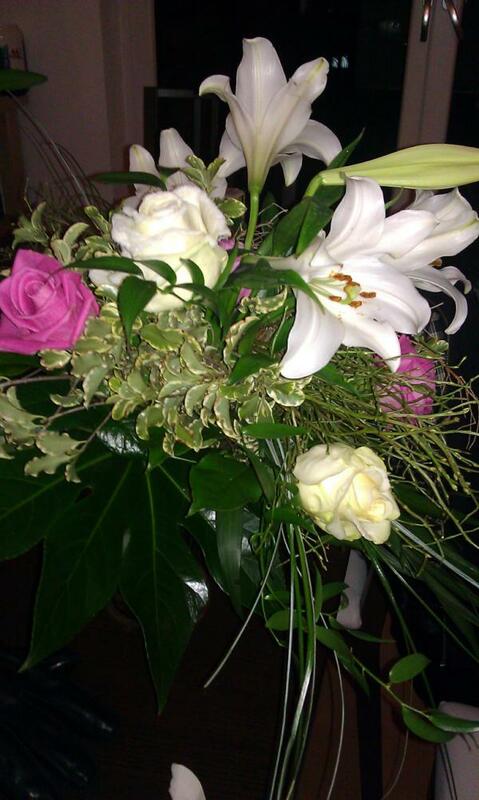 Your comments brightened my day and….hubby got me those beautiful flowers. Yes, my hubby is wonderful and patient and funny and charming and so smart! I am thankful. * ChangeWriteNow: You know this wonderful opportunity where you set yourself goals and have the great support system of your team and others. Many of you commented that you would have liked to join. Cory, Sarah & Gina are preparing round 2. It’s really fun! Don’t hesitate to sign up here! *Anna and The French Kiss: I re-read that book this week. I was in need of a lift-me-up novel and I knew it would definitely make me smile to fall in love again with Anna & Etienne. It did. Thank you Stephanie Perkins! So tell me what made you smile this week? Previous postDear Writing Community: Would you be my Valentine? Must get a hold of that book. I have lift-me-up films but could do with books as well. Congarts on that really good first line Christa 😀 Hope you had a nice time in Florida and good luck with the edits for TRAINWRECK :D! After two years I finally had my new toilet fitted. I never thought I would be so happy about a toilet! Those things are more important than we may think in the first place 😀 I´m happy for you Lu! I love your Happy Friday posts, Elodie! This week, I’m happy that a long-time friend who has a wife and four children is having a very successful recovery from a very scary brain aneurysm. And happy that his close-call reminded me to put things into perspective in my own life! Thanks Kitty 😀 And I am very very happy that your friend is having a successful recovery!!! It does help to put things into perspective and to hug people around us even a tad more! My happy Friday was a great staff meeting at school, watching my son get his driver’s license (!) and celebrating the 100th birthday of Girl Scouts w/ my daughter’s troop. Oh – and knowing I can sleep in tomorrow for the first time in weeks! It seems you had quite a milestone type of week! Hope you enjoyed the sleeping in and that Monday started on the right foot! OMG Kerri! You NEED to pick up Anna & The French Kiss 😀 It´s such a wonderful book 😀 Hope you had a wonderful weekend! Such lovely Valentine’s Day flowers! Good luck with the revisions. Lots of smiles this week! My sweetie bought me lovely little change purse this week, just because he loves me. We made the most delicious salad ever for dinner on Wednesday and I remembered how much I actually like to eat healthy. And on Tuesday, Pure Slush put up my flash fiction for the world to read. Woo hoo! Awww .D Glad you had a lot of smiles last week and congrats on your flash fiction being out in the world! 1) Joining the campaign and meeting fun new people, just like you. 2) The ability to go out and run again after a forced hiatus. 3) I finished a new short story. Awww thanks 😀 C.B. The ChangeWriteNow community is indeed quite wonderful and very supportive! I´m glad you had a nice week! Thanks Jeigh 😀 You´re not the only person who hasn´t read Anna but you should definitely get it soon…It´s really wonderful! Stopping by from the campaign!! Definitely, all the visitors to my blog put a big smile on my face this week. Your Friday posts rock. 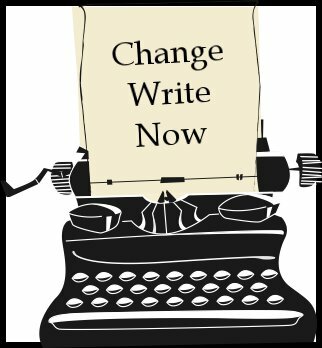 Thanks for posting about ChangeWriteNow – I checked it out and I’m in! I’ve read Lola but not Anna – it’s on my TBR list. LOVED Lola. Things that made me smile this week: Valentine tulips from my husband, making great connections with fellow campaigners, getting back on track with my WIP, some really great songs on my new pandora radio station, Crooners radio. It sounds like you had a wonderful week – I´m loving the campaign, it´s really fun!